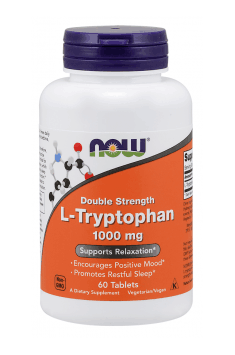 L-Tryptophan Double Strength 1000mg 60 tab. One tablet 1-3 times a day, preferably at night. Product is recommended as a dietary supplement. Tryptophan is an exogenous amino acid and must be delivered to our body. The preparation may increase satiety, it is recommended for people who want to lose extra weight. Product is best to use at night, because it has sedative properties.